Iran’s supreme leader is big into social media. Over the past year, Ayatollah Ali Khamenei has launched a Facebook page as well as Instagram, Google Plus and YouTube accounts ― despite government bans on Facebook and YouTube. He has been on Twitter since 2009. The supreme leader’s social media appears aimed primarily at a regional and international audience. Most of his posts are in English, with some in Arabic or Spanish. 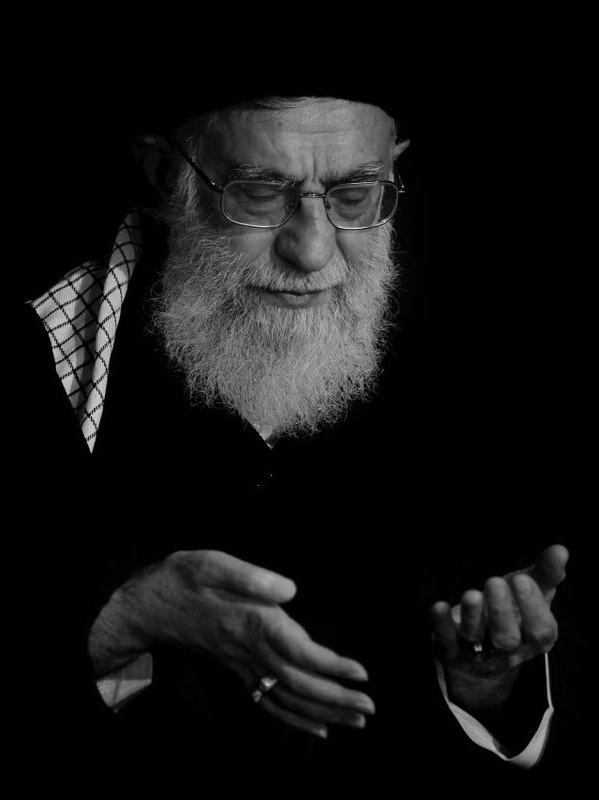 On each site, Khamenei’s primary message is that the Islamic Republic is a rising power in the region and that its ideology has growing influence. He credits Iran for inspiring the Arab uprisings as part of a wider “Islamic awakening” that imitates the 1979 revolution. Up to 30 percent of Iranians get around the official blocks through Virtual Private Networks (VPNs) that are connected to foreign servers, Kamal Hadianfar, then chief of Iran’s cyber police, told Mehr News in June 2012. Some 17 million Iranians had Facebook accounts by October 2011, the technology director of the Student Basij militia told Fars News. In early 2012, the U.S. State Department estimated that there are up to 14 million Facebook users in Iran. Yet Iranians also make heavy use of domestic social media. In April 2013, four of the top 10 sites viewed in Iran were domestic blog hosts or imitations of Western sites, according to web information company Alexa. Popular Iranian services include Aparat, Cloob and Hadinet. Cloob, or the Iranian Virtual Society, features articles, chatrooms and instant messaging, photos, shopping, classifieds—all in accordance with Islamic law. 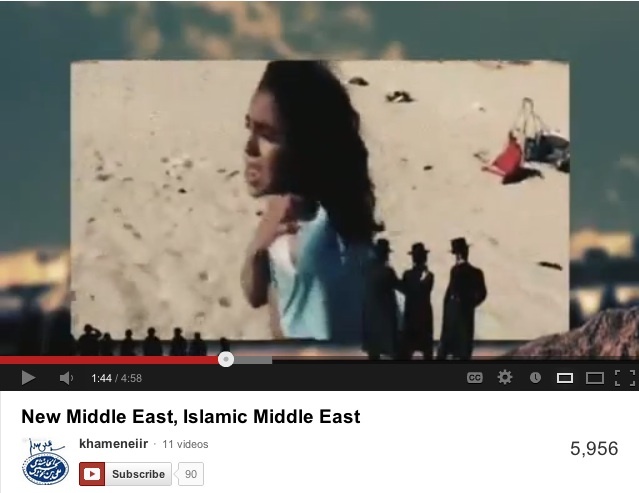 Mehr is Iran’s heavily censored alternative to YouTube. But Iranian sites often suffer from technical problems. Google—the number one website in Iran—hosts one of the few Western social media platforms not blocked by Tehran. The supreme leader joined Google Plus in March 2012 and has posted dozens of graphics, enhanced photographs and dramatic videos probably to enhance his reputation with Iran’s technology savvy youth. The following is a rundown of Khamenei’s websites and social media accounts. Khamenei’s newest foray into social media is on Facebook. The supreme leader’s office has yet to acknowledge page’s authenticity but the postings are similar to other official sites. 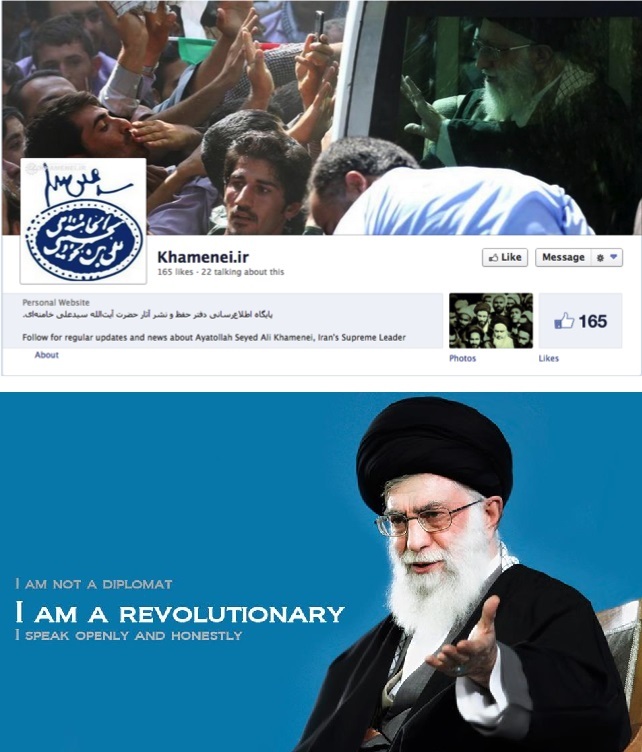 Khamenei advertised the creation of his Facebook page in December 2012 to his Google Plus followers. As of April 2013, Khamenei had more than 40,500 “likes.” He has posted photos with links to transcripts of his speeches. The page also has links to audio recordings on Soundcloud, a popular German site. Click here to view his Soundcloud page. The supreme leader joined Twitter on March 31, 2009. He had more than 10,100 followers four years later in April 2013. Khamenei uses Twitter as a hub for all his social media accounts, tweeting links to his other profiles on Instagram, Google Plus, and Facebook. The supreme leader‘s tweets are mainly in English and Farsi. The posts appeared frequently after protests erupted following the disputed June 2009 presidential election. Up to 3 million people took to Tehran’s streets to protest official claims that Mahmoud Ahmadinejad won in a landslide. Khamenei tweeted up to 40 times a day while protestors used social media to relay images and information about demonstrations and the government crackdown. His tweets have often contained excerpts from speeches that condemn the United States and international sanctions on Iran. The tweets have frequently included inconsistent use of hashtags, typos, and poor English translations. 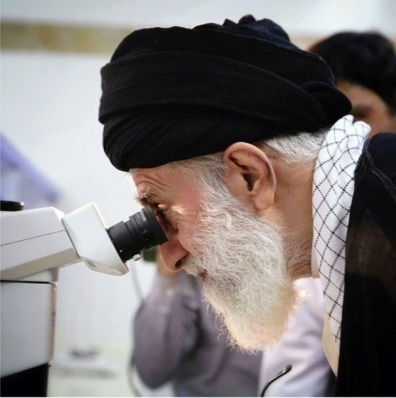 Before Khamenei joined Instagram, he used to post more photos on Twitter. They documented his visits with global leaders and speeches across Iran. 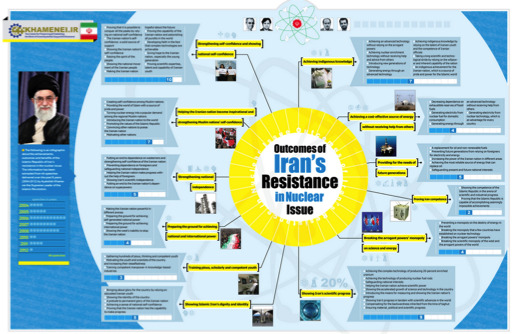 One twitpic summarized the “benefits of the Islamic Republic of Iran’s resistance in the nuclear issue,” with excerpts from Khamenei's 44 speeches on the nuclear program from 2004 to 2012. The top of the chart featured images of four nuclear scientists who were assassinated. To emphasize Tehran’s claim that its program is peaceful, the pictures are surrounded by white doves. (Click here to see the full size image). The supreme leader also criticized the United States after a YouTube film — produced in the United States— insulted the Prophet Mohammed. It triggered attacks on U.S. diplomatic missions in Libya, Tunisia, Egypt, Yemen and beyond in September 2012. Khamenei tweeted “Nobody believes the American claim of supporting democracy.” More than a dozen other tweets defended the protests. Click here to view his Twitter account. The supreme leader joined Google’s social media platform in March 2012. He has posted extensively on Google Plus in Farsi for his Iranian followers. In September 2012, the Iranian government banned Google extensions in response to the inflammatory video that caused anti-American riots. The ban was lifted on Gmail after one week, however, after members of parliament complained about their lost e-mail accounts. The 2009 block on YouTube, another Google extension, remained in effect. Khamenei’s Google Plus page has many photos of himself not published elsewhere. This page also features excerpts of his sermons. 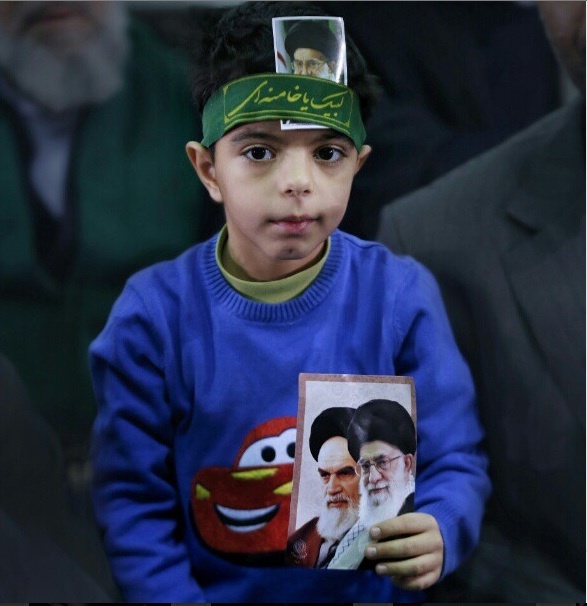 In April 2013, more than 8,000 people had added Khamenei to their circles. Click here to view his Google Plus page. The supreme leader has uploaded more than a dozen videos since joining the popular video-sharing service in December 2012. The Islamic Republic banned YouTube in 2009, when protestors uploaded videos of the government crackdown on the Green Movement. Some YouTube clips of the Arab Spring protests are twinned with Khamenei’s speeches about the “Islamic Awakening” redefining the Middle East. In one particularly inflammatory video (left), a Palestinian child cries over her father’s dead body, while Israelis survey the scene. Khamenei’s channel had been viewed more than 13,000 times by April 2013. Click here to view his YouTube channel. In August 2012, the supreme leader joined the fast growing photo-sharing mobile application. Despite the ban on Facebook, the Islamic Republic has not blocked Instagram, which is now owned by Facebook. The supreme leader has posted more than 200 photos on Instagram using the same handle as his Twitter account. As of April 2013, he had more than 2,200 followers. Instagram users enhance photos by using different colored lenses to add a “retro” feel to their images before sharing them. 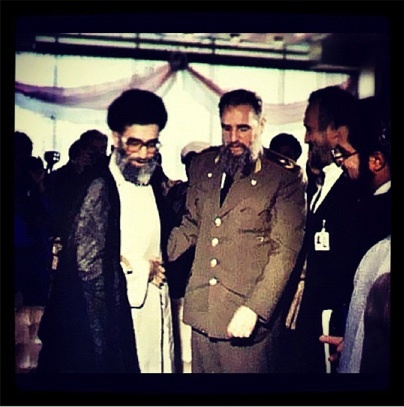 After the Non-Aligned Movement summit in August 2012, Khamenei posted a photo (left) of himself with former Cuban President Fidel Castro at the 1986 NAM summit. Khamenei's first postings prompted reactions from around the world, including both positive and negative comments in Hebrew, German, Spanish and English. Click here to view the supreme leader’s Instagram account. The supreme leader has two websites — one for his office and one as his personal website. The first website acts as an introductory course to Shiite Islam and the Islamic Republic’s system of government. It provides extensive information on the supreme leader's role and links to his writings and speeches. 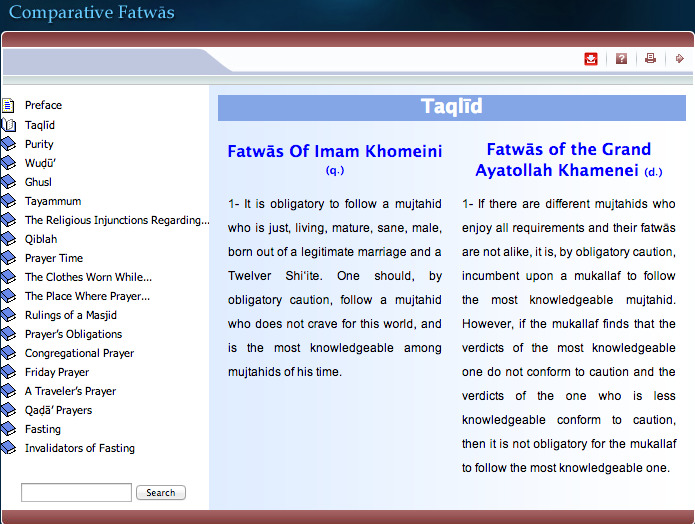 In a section on Islamic law, or Sharia, users send questions to Khamenei. Visitors have inquired about Islam’s view on dancing at weddings, wearing a tie, and plucking one’s eyebrows. The guide to fatwas, or religious decrees, covers themes such as prayer rituals, clothing, and pilgrimage. In some cases, Khamenei updates the fatwas of his predecessor. There is also a mobile application that monitors Khamenei’s daily activities, along with a RSS feed and newsfeed on the website. Click here to view the Office of the Supreme Leader’s website. The supreme leader’s personal website features an extensive archive of his publications, speeches, and photos. Most of his tweets link to information on this website. 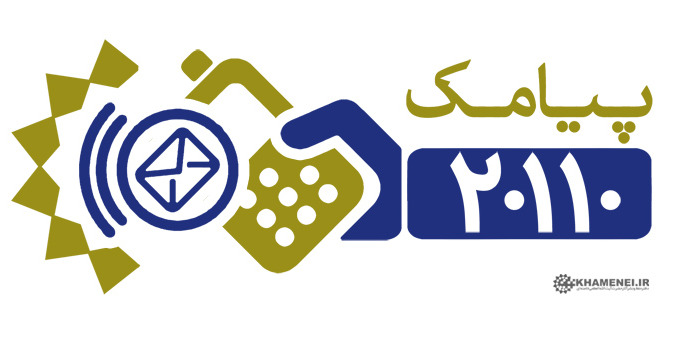 The Persian language version of this website offers an SMS service for his subscribers who want constant updates on his events and recent statements. Click here to view his personal website. Click here to read the Iran Primer’s chapter on the supreme leader.